Cisco Meraki has terminated its distribution agreement with Exclusive Networks in Australia, ending a partnership that has spanned almost six years. ARN can confirm that the tech giant parted company with the Meraki-only distributor because it doesn't have access to the wider Cisco product range. 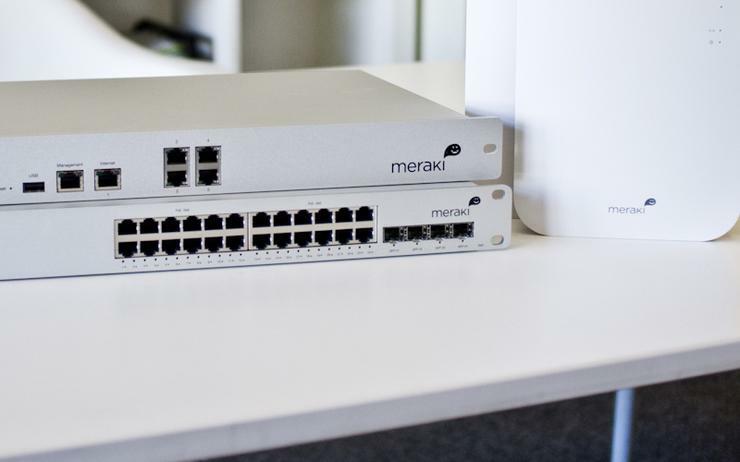 "We were the first Meraki distributor in Asia Pacific and they showed us plenty of loyalty and kept us on board for nearly five years after being acquired by Cisco," Exclusive Networks Pacific managing director Dominic Whitehand told ARN. "But it makes sense for Cisco to consolidate their full product set into Cisco distributors over time. "Given that the Cisco Meraki products have not represented a particularly material portion of our revenues over the last two years, and that we do not carry them anywhere else in the Exclusive Group, we are fine with their decision and wish them the very best moving forward." Operating as a cloud managed IT company, Cisco Meraki solutions include wireless, switching, security, EMM, communications and security cameras, all centrally managed from the web. Cisco A/NZ enterprise networking director, Rob De Nicolo, said the move is a result of alignment and integration of Cisco Meraki within the Asia-Pacific region. “As the alignment and integration of Cisco Meraki within the Asia-Pacific region continues, more countries are aligning to Cisco’s distribution and partner strategy," he said. "Locally, in the Australian and New Zealand market, Cisco Meraki is aligning to Cisco’s channel strategy and local distributor ecosystem. Therefore, Cisco Meraki will be transitioning to local distributors: Dicker Data, Comstor and Ingram Micro. "Exclusive Networks have been highly supportive of Cisco Meraki and we sincerely thank them for all their efforts in bringing Cisco Meraki into the A/NZ market," he added. The amicable break-up comes after the pair first struck a deal in November 2011, with Exclusive Networks bringing the vendor to the local market under the WhiteGold Solutions banner. From a market standpoint, the parting of ways isn't expected to impact either party, with Exclusive Networks continuing to bolster its vendor portfolio across Australia and New Zealand (A/NZ). As reported by ARN, the specialist distributor recently beefed up its BigTec portfolio with Silver Peak and Juniper Networks coming on board, alongside the signing of a distribution deal with data management company, Rubrik. For parent company Cisco, it appears that distribution change is in the air, with the vendor also assessing its channel options across the Tasman in New Zealand. As reported by sister publication Reseller News, Cisco is currently conducting a strategic review of its distribution partners in New Zealand, with a decision expected within the next seven days. Likewise, Exclusive Networks also recently parted company with Sophos,ending a local distribution agreement that lasted over a year.